Your holding deposit must be in the form of "Guaranteed Funds"; In other words, Money Order or a Cashiers Check. Although they can be more expensive, I recommend a cashiers check from your bank, because if your application is not approved for some reason, it is usually much easier and faster to get your money converted back from that check to cash in your account than it is with a money order purchased from a grocery store. 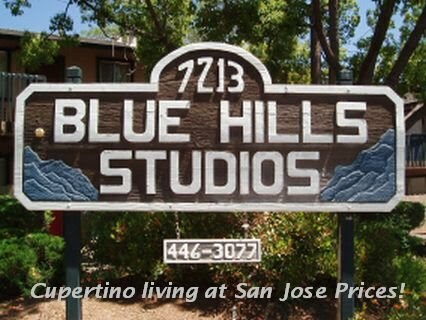 Your cashiers check or money order should be payable to the "Blue Hills Studios." It must be equal to the amount of rent that would be due during the period you want me to hold the apartment for you. For example, if you want me to hold the apartment for you for 1 week, the holding deposit would equal 1 months rent x 1/4. If you want me to hold it for 1 month, the holding deposit would equal 1 months rent x 1. If you want me to hold an apartment for 3 months, your holding deposit would be equal to 1 months rent x 3. At the time you submit your holding deposit, we will sign a contract that will identify the apartment being secured for you, the date you must take possession of it by, and the way your holding deposit will be handled. The contract will specify that if you move in, the holding deposit will be applied to what you owe at move in, and if you don't move in, it will be charged for the daily rent loss and the balance refunded to you. For example, If at move in, you owe $1000 for your first month rent, and $500 for your security deposit, and you've already submitted a holding deposit of $500, all you'll owe at move in is $1000, as the holding deposit will be applied to your account, resulting in a $500 credit. If you fail to take possession as required by the contract, and I'm able to re-rent the apartment after losing 3 days of rent as a result of you breaching the contract, I would charge your holding deposit $99.99 (1000 / 30 x 3) and return $400.01 to you through the United States Postal Service within 3 weeks. If you have any questions about how this works, please email them to me and I'll get you an answer as quickly as I can.